[murdoch quote - we can only learn to love by loving]. 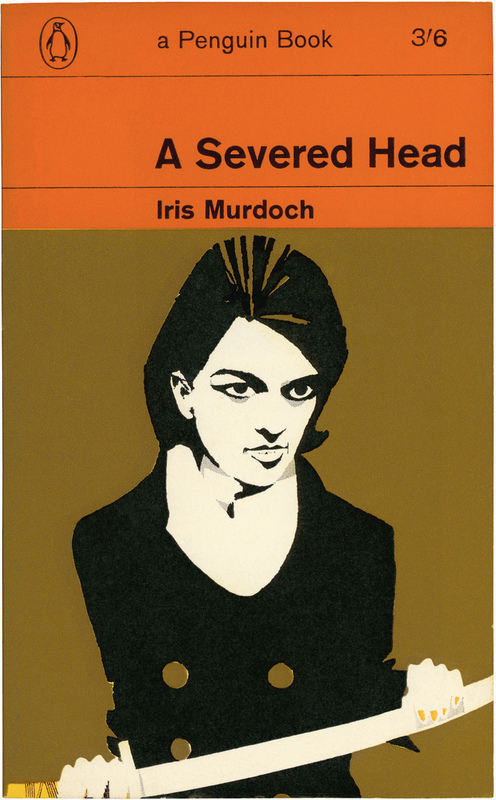 when i was doing my graduate course in libraries & documentation, a fellow student introduced me to iris murdoch. 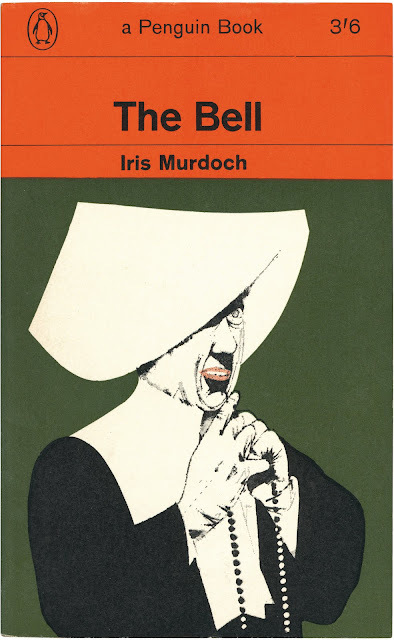 the only reality of murdoch at that point in my life were kate winslow's and dame judi dench's interpretations in richard eyre's picture IRIS. so when i started reading murdoch books, i had a few visions to tap from. which isn't imperative in murdoch readings, but it helps. whenever i grow into a murdoch story (usually halfway through) i have nodded vehemently on several pages, or i have burst out laughing at the author's absolute witty connaissance of the english vocabulary (often in a full commuter train; which goes to show, grand literature knows time nor place). okay, this for the love part. [murdoch quote - literature could be said to be a sort of disciplined technique for arousing certain emotions]. well, the hate doesn't really come into it, apart from the fact that the novels always look so damned flimsy, but are not! since they're sixties prints, smallish to today's standards and tightly laid out, murdoch books take me rather a lot longer than i preview. which hits me each and every time, when i near the middle of a novel and wonder, do i go on? but i hate not finishing a novel. it's like paying no hommage after all. remarkable too, to let myself go back in time as such, for murdoch novels are so timebound, all whilest her way of thinking can hardly be defined as anything other than timeless. theme chosen by beth, on jane's corner view, hosted by francesca's fuoriborgo. now. if you are to ask me again, who's your favourite author? i will answer, randomly, raymond carver, carol shields, ian mc ewan, ruchard russo, paul auster, joyce c. oates, alice munro. to name a few. i am in a rush right now but am totally intrigued by the images in this post. i'll be back to read! just offering to host this weeks drawing challenge unless there has been someone before me... i haven't read yet of a new theme...shall I? severed heads and such , I like coffee cake did I tell you! Never heard of these titles. I will have to check them out. Thanks for sharing! I never heard ... But new input is always welcome. Thanks. Thanks! One of these authors "on my list"… perhaps your presentation will push him a little bit to the top?! I recognize that feeling, i hate it too not finishing a novel. In a few cases i really had to it put away and pick it up again some time or years later when i was ready for that particular book. Is your woolfen-BELL coming from The Bell? i never heard of her...so always nice to learn something new; i will take it with me next time i go to the "bieb" > hahahaa....library! great post, great choices (carver, munro) tho i've never read murdoch. will have to now you've described her writing so evocatively. I haven't read anything by Iris Murdoch but she does sound intriguing. So many books... so little time. Suggestions on which should be my first Iris Murdoch novel? Didn't come across her since now. But if I did, I would have bought these books just because of their cover artwork! I love the beautiful weird woman on the 2nd! I hate not to finish a novel too, and I tend to persevere, but sometimes, they're just not worth my time. Thanks for introducing me to Iris Murdoch. That Murdoch seems interesting! Got to know! Don't feel bad if you don't finish a book... You can always say you agree with Daniel Pennac about the "Rights of the Reader"
You studied library science? Does this mean you're trained as a librarian? I'm so jealous. In my next life ... meanwhile, in this one I'd better start reading Murdoch. p.s. are you a librarian? Ashamed to say I've never read a full-length Iris Murdoch novel;, but then I've never read any Bayley either. I didn't know this author but I will perhaps read one of her books. I also like the graphics of book covers, very nice. I love the quote about learning to love by loving. Happy reading, you literary one you, you inspire us to literary heights. i hate not finish a book too... just once it happends to me and the feeling of have a unfinish thing is still with me.... but it was soooo boring! i like the Murdoch quotes. Can't say I've heard of this author so I'll need to check it out. I too don't like to not finish a novel.